1 Bdrm Top flr Flat. Hall. Lounge. Kitch. Bdrm. Bathrm (CT band - TBC). 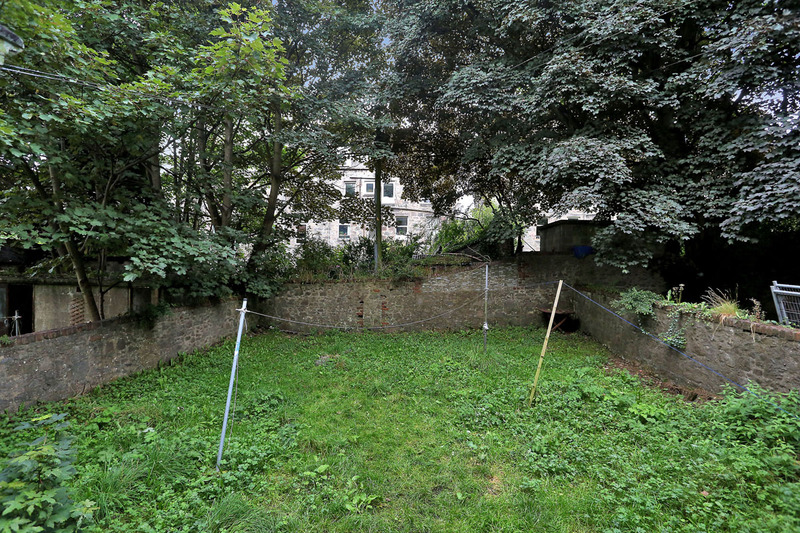 Fixed price £85,000 Entry by arr. Viewing Contact Solicitors 01224 640666. (EPC band - G). 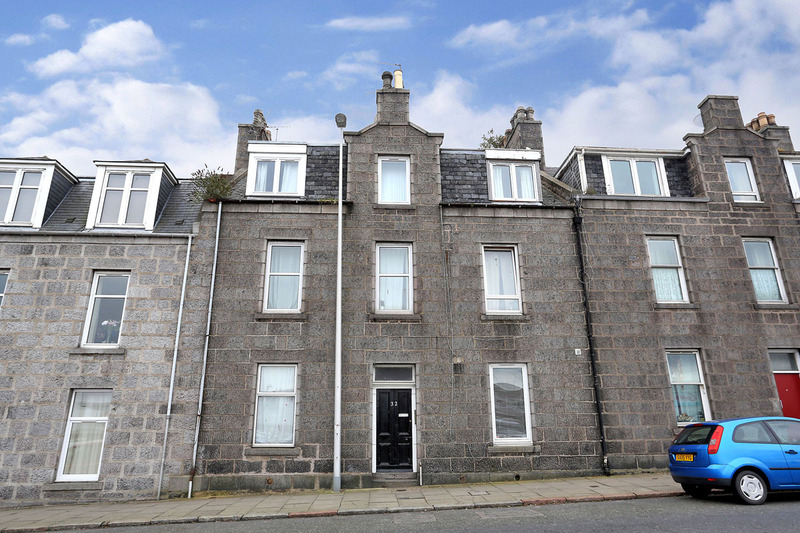 We are pleased to offer for sale this ONE BEDROOMED TOP FLOOR FLAT ideally located for Aberdeen University and offering an excellent buy to let proposition or first time buy. 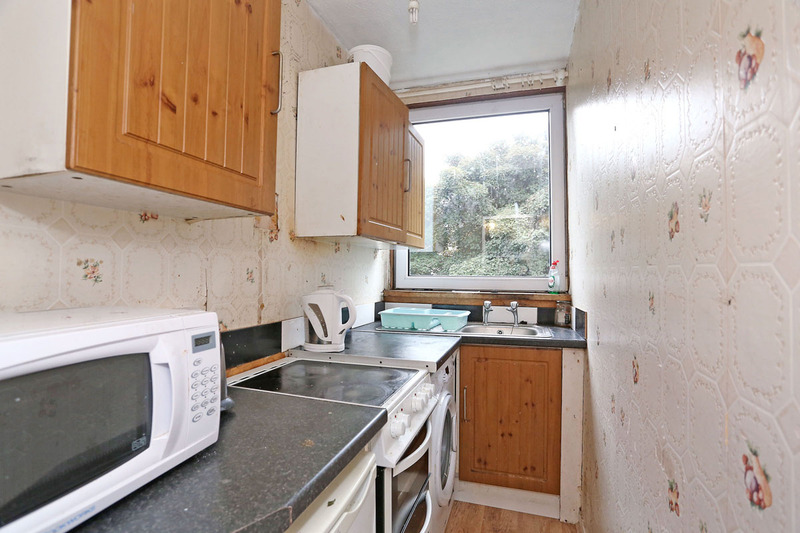 The property benefits from double glazing and is being sold complete with cooker, fridge and washing machine. As well as being well located for the University, Bedford Road is also particularly handy for the Foresterhill Hospital complex and the Kittybrewster and Berryden retail parks. The city centre is within walking distance and there are good public transport links to most parts of the city, including Aberdeen International Airport and the industrial estate at Dyce. Brief Particulars: Hall, Lounge, Kitchen, Bedroom, Bathroom. HALL Electric meter box; security entry phone; laminate flooring; cupboard. LOUNGE (12’4” x 12’3” (3.76m x 3.73m) approx.) 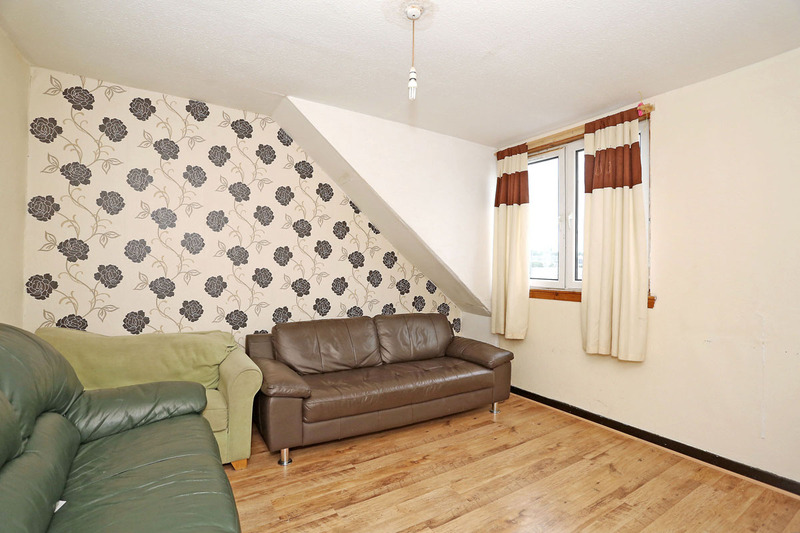 Situated to front of property; laminate flooring; feature wall. KITCHEN Galley kitchen with units to base and eye level with contrasting work surfaces; window overlooking rear garden; cooker, fridge and washing machine included in price; stainless steel sink and drainer. BEDROOM (11’7” x 7’8” (3.53m x 2.34m) approx.) 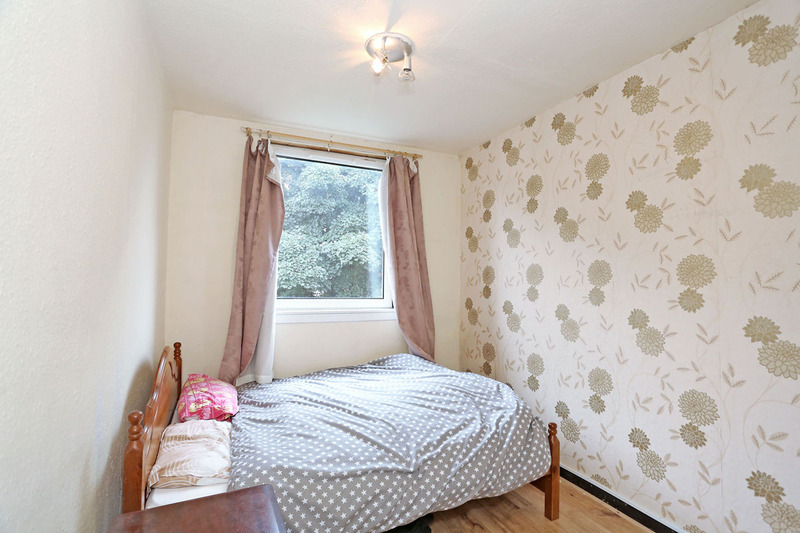 Situated to rear of property; spotlights; feature wall; laminate flooring. 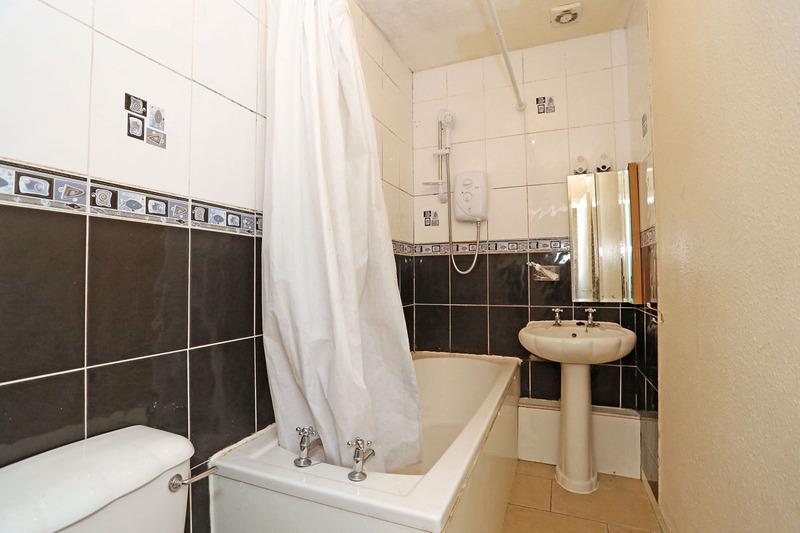 BATHROOM Three piece suite comprising wc, wash hand basin and bath with electric shower; shower rail; expelair; tiled to ceiling level. FEATURES Double glazing. Cooker, fridge and washing machine included. Security entry system. Ideally located for University.